What can we say about the Ouya? It was a great idea in theory, and there were many backers on it’s kickstarter. Everyone (including me) was rooting for it. Considering that the system is chock full of Android games, one may get bored of the same old less than console-quality games that are on this console. That my friends, is where emulation comes in to save the day. Yes with the Ouya you can emulate just about any of the earlier gen consoles. PS1, PSP, Nintendo consoles, Atari, Commodore 64, heck, it’s all there. Check this link out to see the compatible emulators for the console. The ability to play music and videos on the Ouya is there, but it’s not easily acquired. A little searching and tweaking is needed, but it can be done. It’s no different then finding ROMs and good emulators for your android device. For some Ouya users, being able to swap out the controller is a huge relief. Changing the batteries out of the Ouya controller can be a pain, and the buttons can become easily stuck. The PS3 controller has proven itself to be the easiest one to connect to the console and is compatible with more games than any other. What do all of these options have in common? The answer is quite simple; Everything that this console can do is only a reflection of what has been done for some years now through a PC, other consoles, and/or an Android based phone or tablet. To cut the creators of Ouya some slack, I doubt they marketed the system to be innovative, but think about it. Most of the population of it’s target audience were already owners of an electronic that could already do what their product can do. Why spend $100 for more of the same? The Oh-Yea was supposed to be an open haven for developers to self publish their games. Unfortunately, Sony’s new publishing policies gave developers more leeway, and advertised their games on their store which in turn gave freelance developers more reason to make games on their platform. The idea of the Ouya really got people like me excited to see how it will contend in the world of consoles. But I saw myself later forgetting about it considering I’d already had a console that I was content with, and didn’t have $100 to fork over for another piece of hardware. In recent news, IGN posted an article declaring the CEO Julie Uhrman left the company after it had been bought out by Razer. 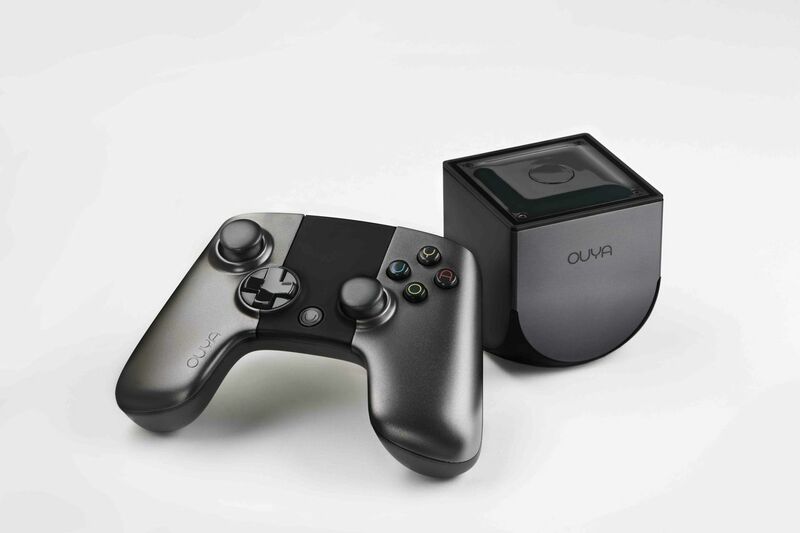 Razer plans to later migrate the thousands of Ouya users to it’s own Forge TV network. This raises many questions for the Ouya’s future. It would be saddening to see the console go, especially after I invested so much of my Hype Juice (Yes I said hype juice) to cheer it on. We will see within the coming months what Razer plans to do with The Little Console That Almost Could.